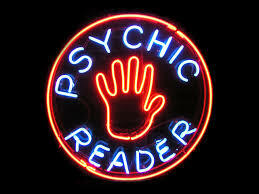 Houses & Homes VA: Do you believe that psychics are real? Do you believe that psychics are real? This is a question that most people seem quite animate about. It seems that either someone believes that psychic abilities are real or they completely dismiss it as being completely ridiculous. Where do you stand on this topic? Do you believe that some people have the ability to predict the future, speak to our departed loved ones or recount our so called past lives (a different topic entirely)? To be honest, I don’t know what to believe anymore. I’ve seen some pretty convincing evidence that such abilities do exist but I’ve also seen a lot of frauds that are clearly nothing more than very clever con men (or women) out to make a buck. And if psychic ability is a real phenomenon why is it that no psychic has a 100% rate of accurate predictions? Why are they sometimes correct in their predictions and sometime completely off the mark? I also wonder why predictions always seem to be so general in nature. The psychic might ask you if you know someone whose name begins with a “J” that has passed away. Why not ask you if you know someone named “John H. Smith” that passed away? Apparently surnames are not part of the spirit world. I would be more convinced if more specifics were given when a psychic medium is “talking” to someone that has “crossed over to the other side”. Still, I have seen some pretty impressive demonstrations before as well. I think the biggest hindrance for me to be completely convinced that such powers do exist is all of the obvious schemes that exist today for the sole purpose of making money. There are no definite guidelines available for us to use to determine if in fact a psychic is genuine or not. So called psychics have no specific code of conduct to adhere to, no governing body to answer to, nothing. Unless one can prove an actual case of fraud where money has changed hands even the police are of no help. All one needs to do is hang up a sign that says “Psychic” and they’re in business. The one thing that can put a fraud out of business is the same thing that affects all legitimate business enterprises as well; it is called word of mouth. Nothing is more powerful that an unhappy consumer and anyone that is taken advantage of by a "would be" psychic should make an effort to tell as many people as possible about what has occurred. This may be the best way yet to deal with a con man that attempts to take advantage of surviving family members and friends.